The book, “Groundswell: Winning in a World Transformed by Social Technologies” by Forrester’s Charlene Li and Josh Bernoff offered companies a much-needed framework for companies to understand social technologies and consumer behaviors. It also introduced the now popular four-step process for developing a social media strategy. A lot has changed since we first interviewed Charlene Li about the Groundswell, including her move to begin the Altimeter Group. Other changes include blogging having met its match as a popular social technology with the exploding popularity of tools like Facebook and Twitter. 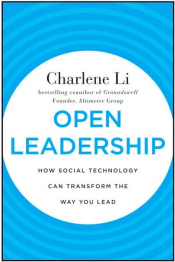 Charlene’s new book, “Open Leadership: How Social Technology Can Transform the Way You Lead”, is essentially about how leaders can tap into the power of the social technology revolution and how to be “open” while still maintaining control. That sounds a bit contradictory, “being open while still maintaining control”, but in truth it’s very practical. Li’s new book provides a much needed framework for organizations that are probably experimenting with the social web or might even have tried to implement a social strategy but without success. The timeliness of this book cannot be overstated. Just about every company I speak with has dipped their to in the waters of the social web and for some, it’s a natural progression to be open. However, being open while maintaining control is new territory for executives managed by objectives vs by empowering staff and customers in an open environment. Social media isn’t a marketing tactic, it’s a platform for communication and can touch every aspect of an organization from the mail room to the board room. “Open Leadership” is structured into 3 sections starting with an argument for why giving up control is inevitable and ten characteristics of being open. Section two dives into how you can create your open strategy starting with deciding how open to be, followed by understanding benefits and measuring the value of being open. A new term, “Sandbox Covenants” is introduced (at least its new to me) for structuring openness and tips on deveoping an open strategy. Basically, Sandbox Covenants is a metaphor for a defined space to be open that allows companies to manage risk and provide some structure in an effort to be more open. There are boundaries and some guidelines, but there is also freedom to do what you need/want to do. One of my favorites of the book is Chapter 6: Orchestrating Your Open Strategy. Starting with objectives and creating a socialgraphics profile, to developing workflow, identifying stakeholder impact and understanding the difference in organizational models for openness will give readers specific actions they can take to implement an open strategy. 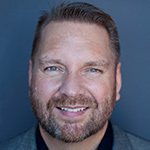 Part three focuses on the skills leaders need to develop openness within their organizations, how to nurture openness, guidelines for failing successfully and case studies on how openness has transformed organizations like Proctor & Gamble and Dell. Open Leadership is full of examples and case studies from companies and organizations including: U.S. Navy, Walmart, United Airlines, Cisco, Kodak, Microsoft, Best Buy, Humana HP, Wells Fargo and many others, Most chapters include a checklist or action plan, so this book is rooted in strategy but is very actionable. While there are many examples from the Fortune 500, the principles of being open, with structure are applicable to companies and organizations of any size. If you’re a manager, leader or owner of an organization that really wants a framework for transforming your understanding of the social web and how being open can transform your company, then this book is a recommended read. Then read it again. There is a compliment web site to the book with a number of useful resources at Open Leadership. The book is available May 24th but you can pre-order here. There’s also a good video interview with Charlene Li about Open Leadership at DachisGroup. Just ordered the book… it's not available until June but your Blog convinced me! Looks interesting. I guess with today's society, people are more opinionated or more open about their opinions than before. It would only hurt our leaders if they are not open to suggestions or ideas. It will be a bit trickier to be open and at the same time maintain control. I read about a similar structure here http://sn.im/vlo4g and I also heard buzz that most companies are now adapting this structure. Very nice information, I want to take a look more for your updates. It looks interesting and just bookmarked your website. Thanks. Truly said that with world today is reached at clicks. With advancement of technology and penetration of web 2.0 and web 3.0 is presently in newbie social networks have provided a user-friendly platform for all – users, owners to come closer. The two way communication has given birth to new social networks. Great going with social networking sites like facebook. Lee, nice to see your review and thanks for the kind words about Groundswell — we always appreciated your early support! I liked Charlene's book as well (see http://bit.ly/openlead). Thanks Josh. I didn't know you had a new book coming, thanks for the preview. Looking forward to hearing more. This is helpfull stuff, thanks. I've not yet read Charlene's new book, only heard her speak about it. Charlene Li has just added a thoughtful and detailed comment to my blog post on 'Open Leadership + Enterprise 2.0: the practices that can make them real'. Thanks Matthew, I am checking it out now. It is the world of latest technologies now a days and social technology is the master of all that as i think.Because it is growing very fast. It is good for the beginners.